every time they go up. It’s surprising that they last as well as they do! 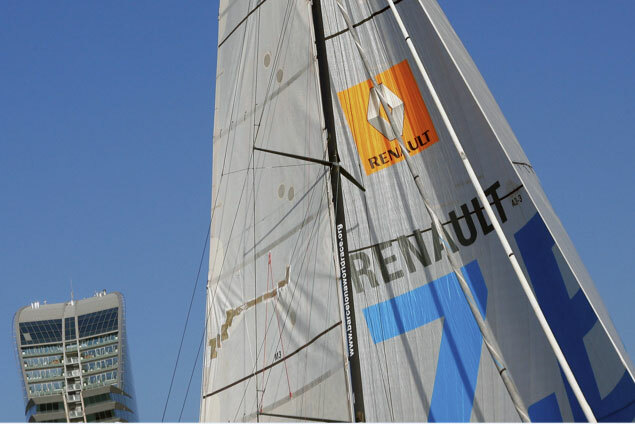 Modern sailcloth materials are impressive, with better strength and longevity, resistance to tearing and UV damage than traditional sails – but they still tear and chafe. 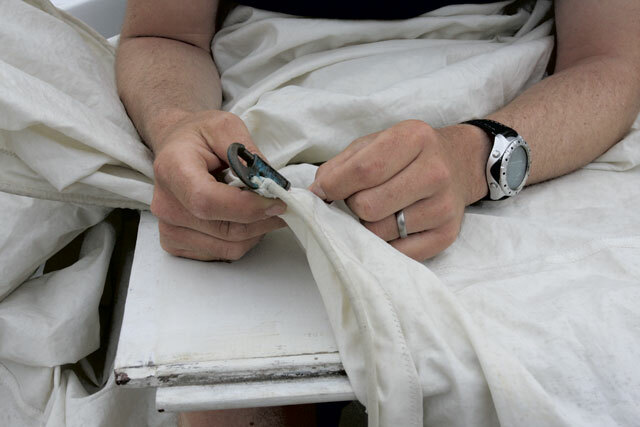 If your sails are damaged during a day-sail, cruise or longer passage, you need to be able to fix them – or make a repair strong enough to get you home and to a sailmaker. 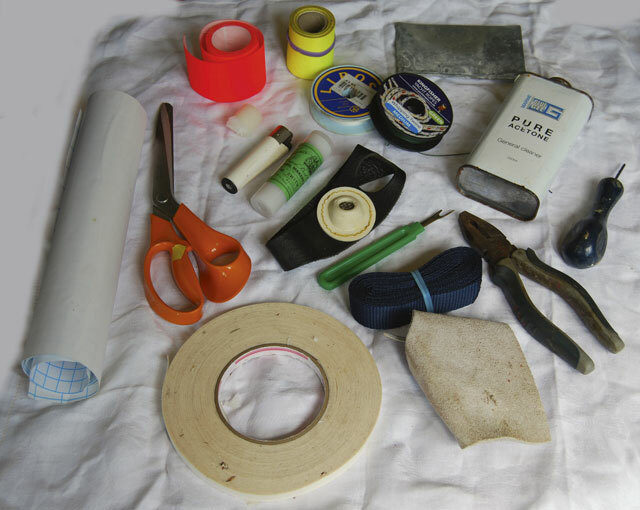 This article will focus on the kit and some basic techniques that will allow you to get home with all canvas flying – but it’s a good idea to get the sail to a sailmaker as soon as you get home for a proper repair to be carried out. 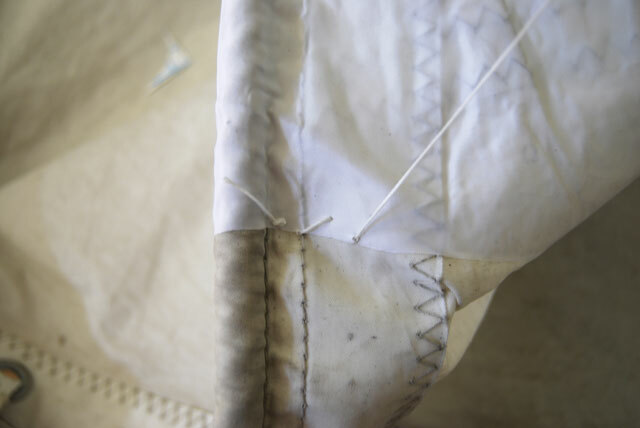 For quick and easy undoing of old stitching – and undoing any mistakes! 1. 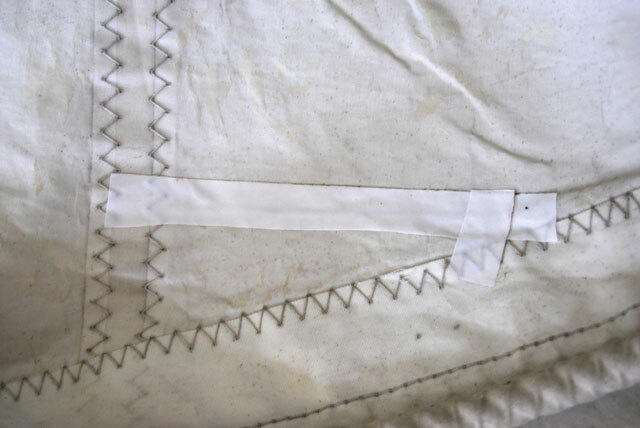 First, remove all damaged stitching on both sides of the sail using a knife, scissors or, ideally, a quick-unpick thread cutter. 2. With the rotten or damaged section removed, it’s helpful to stick the seam back together. 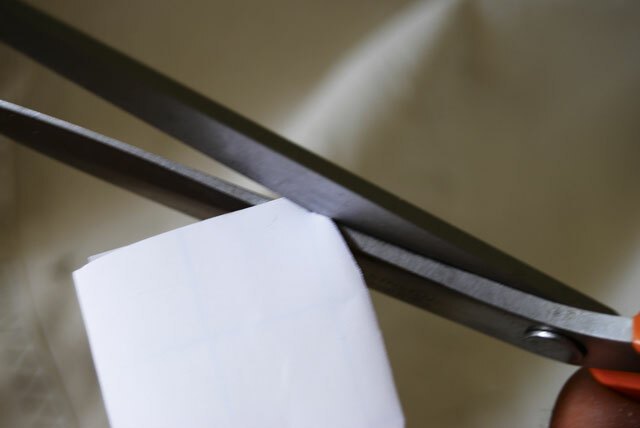 Double-sided tape is ideal to avoid the seam shifting. 4. 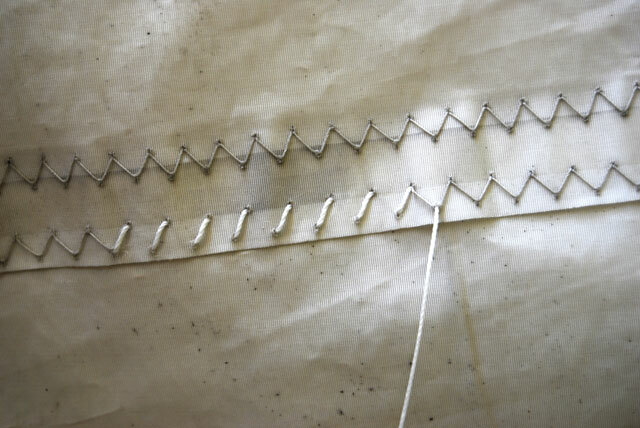 …and then go back on yourself, stitching the other half of the zigzag. Use the same holes where possible and try to keep your stitches and the tension in the twine even. 5. Finish by tying the line off with a knot. Melting it a little with a lighter can help everything stay attached. Tears in the fabric of the sail, as opposed to failed seams, are harder to repair. Here, sail repair cloth is essential. Unfortunately, you’ll need the sail to be dry for it to stick. 1. Rinse the sail with fresh water to remove salt, and dry it in the sun or in front of a heater if possible. 2. For small tears, a small amount of fabric will suffice. 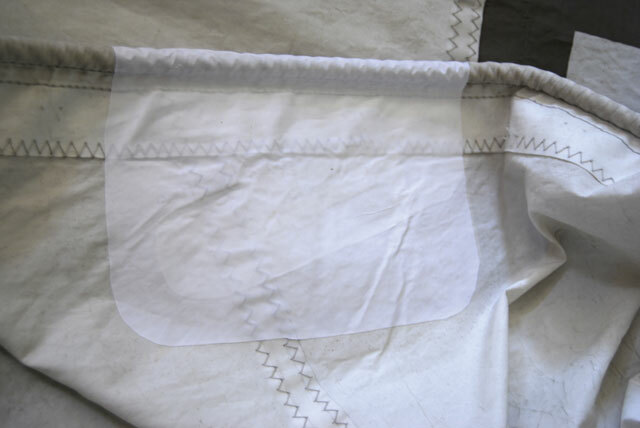 Cut the sail repair cloth to size, one for each side, and round off the corners to avoid it lifting. Stick it down well, pressing out all bubbles and creases. 4. …and the later layers increasing in size to reinforce the repair and ensure the edges of the tear stay aligned. 5. 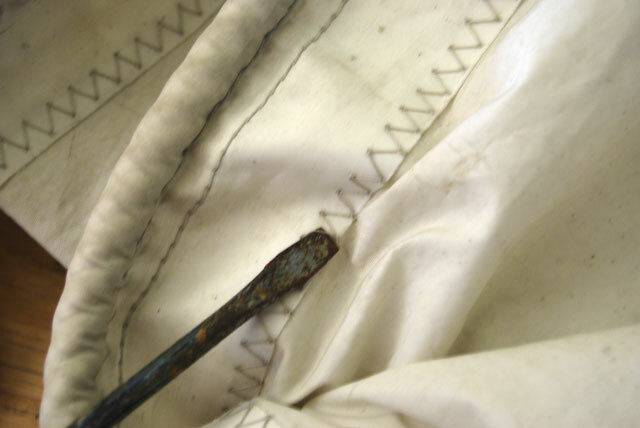 This repair is finished off with a large sheet of sticky-backed Dacron, stuck on both sides and around the luff of the sail to keep everything together and spread the load. 6. 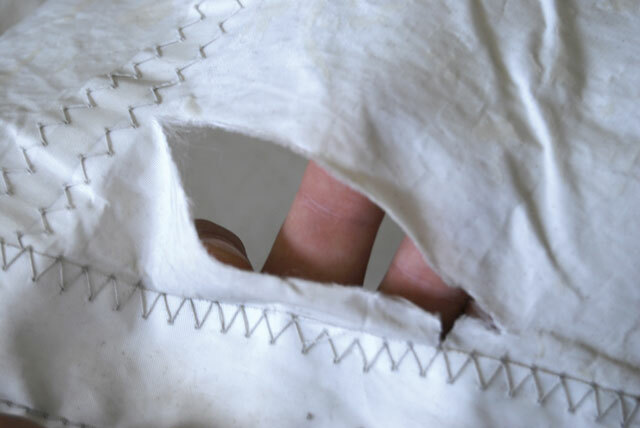 If the cloth isn’t sticking properly it may help to sew around the edge of the repair to secure it: although, to avoid weakening the remaining material, this is only worth doing on big repairs where you won’t find a sailmaker for some time. 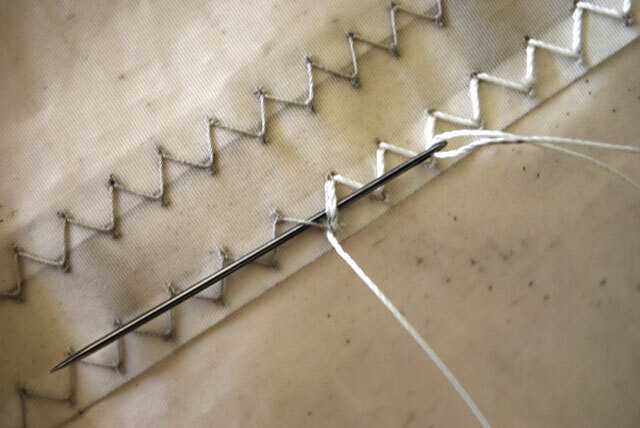 Webbing can be useful here, in order to sew a strong edge onto a damaged leech or to add extra strength to a batten pocket repair. 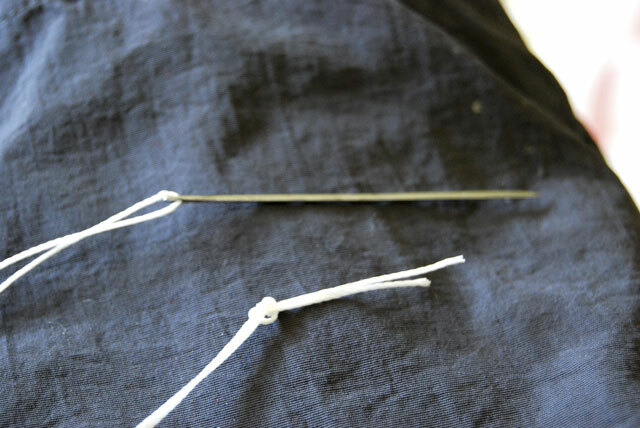 Alternatively, a length of folded leech tape will help to finish off any edge repairs. Here again, Dacron cloth is your friend. 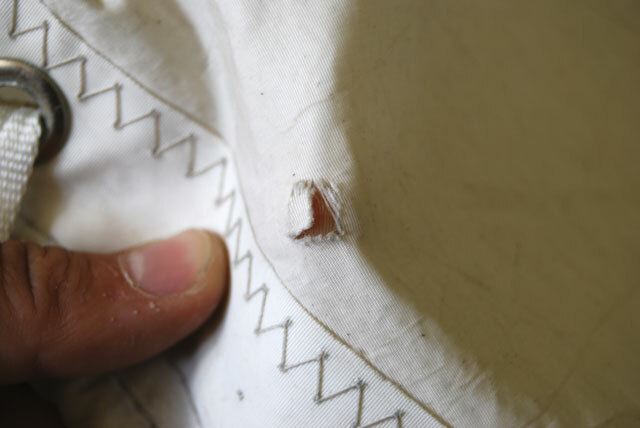 If an eyelet has pulled out, you’re best off removing it completely and putting a layer of cloth on each side. 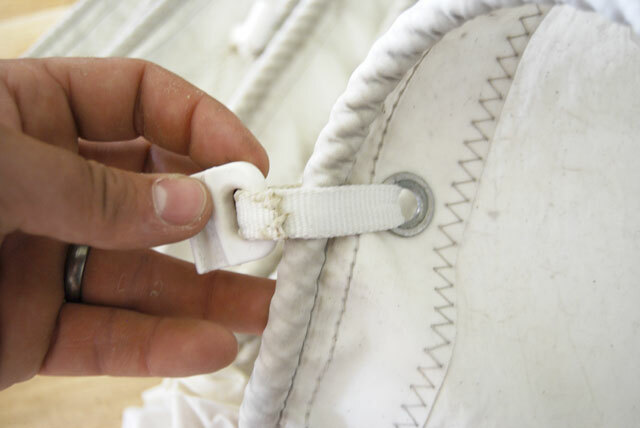 If you can’t avoid using the sail, the plastic ‘snap-on’-type eyelets are useful as a temporary low-load repair. It’s also worth keeping spare plastic shackles and sail slides in your repair kit for easy replacement and repairs. With the lightweight nylons used for spinnakers, it’s best to avoid sewing through the sail if at all possible as this may affect the spinnaker’s shape. 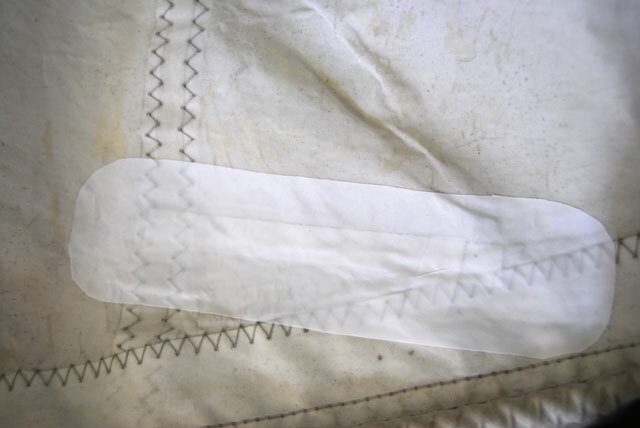 For small tears it’s best to use a single layer of repair tape, but bigger repairs require a layer on each side of the sail. If the repairs are too big, however, it may be best to not use the sail until it can be properly repaired by a sailmaker. 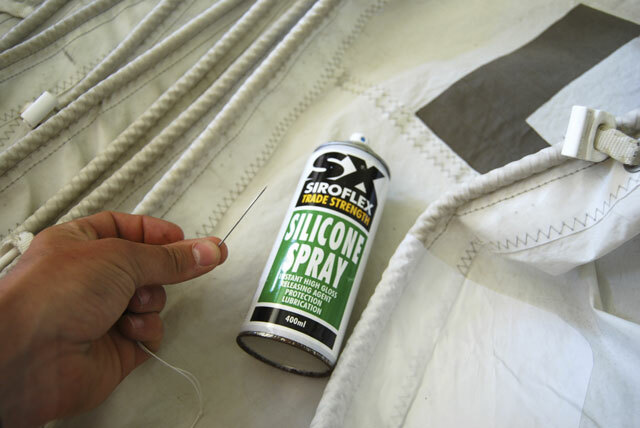 epoxy base adhesive designed for use on sailcloth, which cures in 30 minutes. It’s worth patching laminate sails as soon as you start to notice any degradation or tears in the weave to avoid the laminate breaking down. 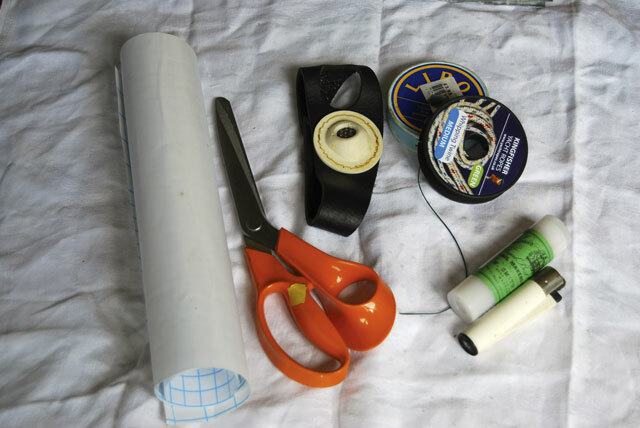 1: Keep it flat When stretching out a sail for repair, use a table or pontoon: but if you’re on board a small boat and struggling for space, a floorboard or washboard will give you a portable flat surface. 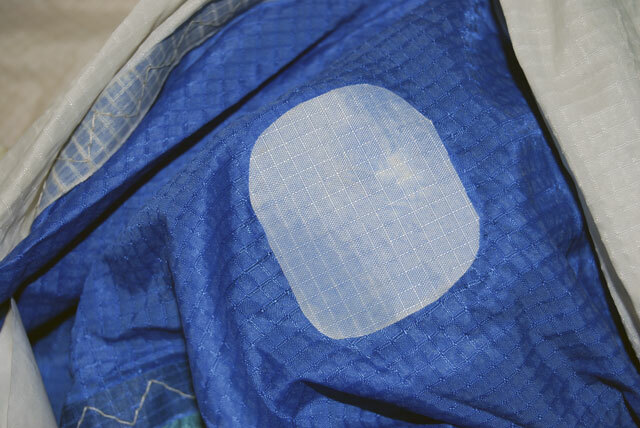 For tears, patching both sides is the only way to avoid snags, and it gives the repair a much better chance of staying in place. 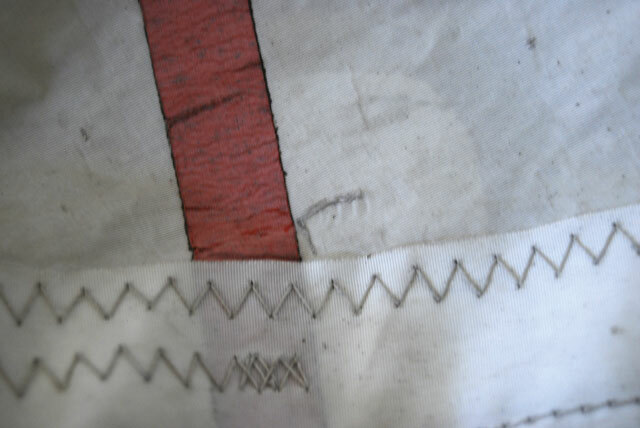 Here you can see a nick in the sailcloth is secured by a repair on one side, with another to go. 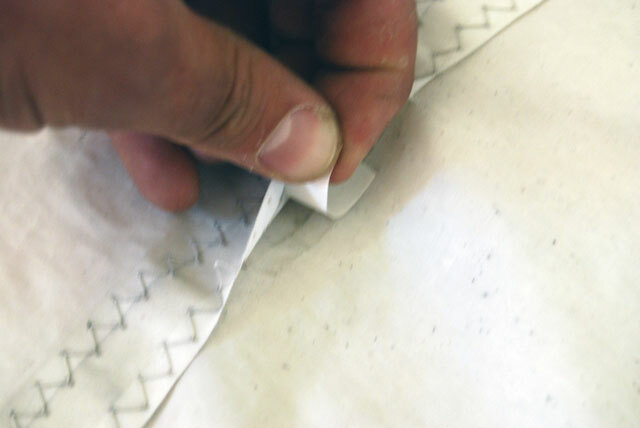 When repairing spinnakers, make sure the edges of the repair line up and you’re not inducing any creases into the sail – it’ll add stress and lead to an early failure of the repair. 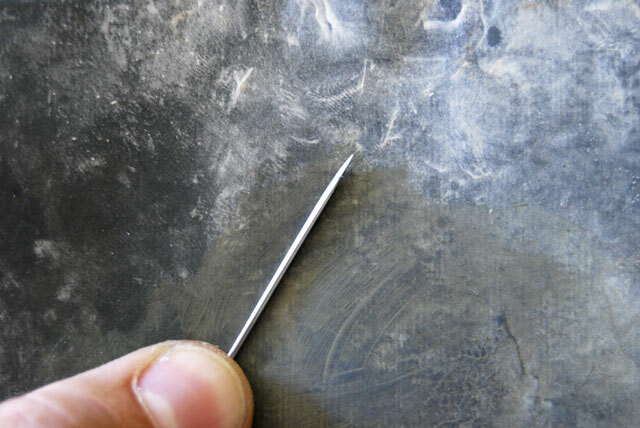 Rust can add a surprising amount of resistance to a needle as it passes through a sail – use wet/dry sandpaper to polish a needle if you don’t have a shiny new one. 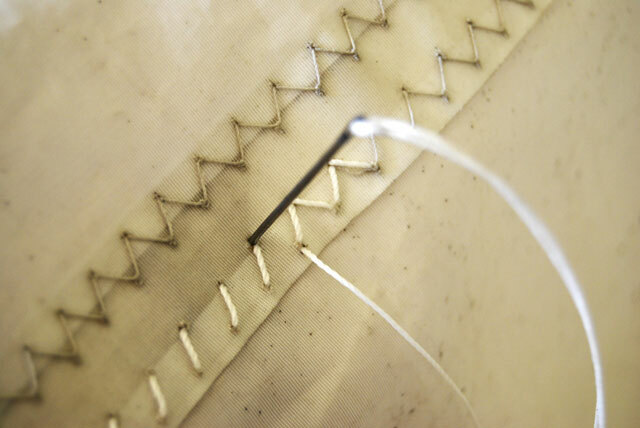 Don’t forget to round off the edges of any patches to avoid them snagging and taking the whole repair with them. repair for little extra work. 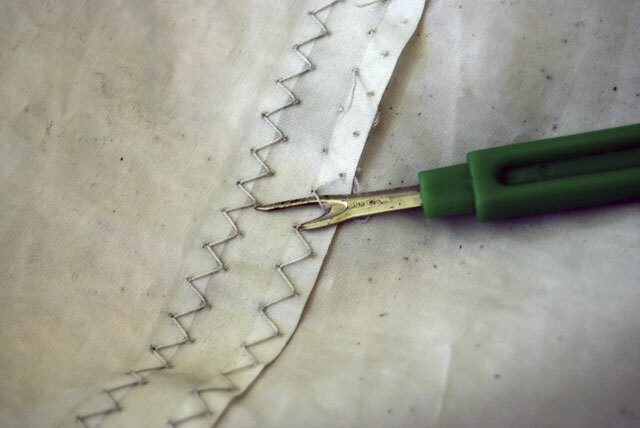 If a seam comes apart, check the remainder with an awl or a screwdriver to ensure that the rest won’t come loose. Use silicone spray or beeswax to keep the needle lubricated: it will help to keep the adhesive from the double-sided tape off the needle. There are some things you can do to keep your sails in a condition where they won’t tear. Take your sails down off the furler and put the sail covers on as soon as you get in to avoid unnecessary UV damage. 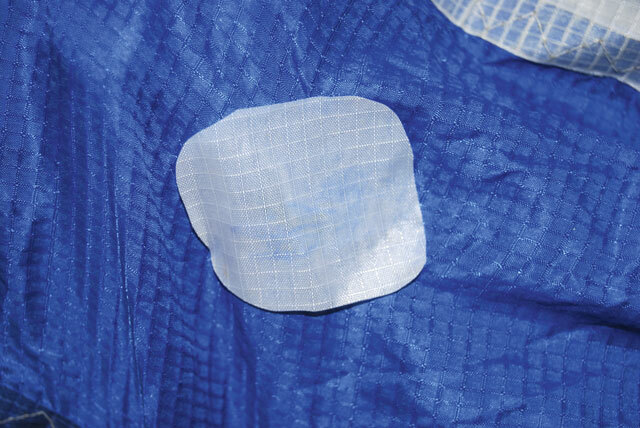 Adding chafe patches to high-wear areas of your sails can pay dividends. 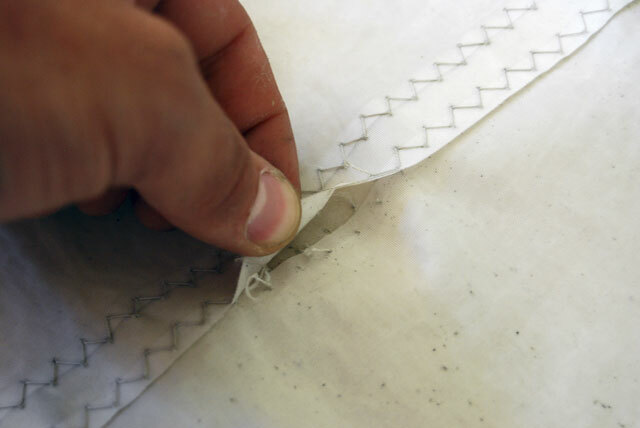 Adding webbing reinforcement to headboards that chafe on the backstay, or leather patches to areas where sails chafe on stanchions or shrouds, can prolong their life and reduce the chance of having to make a repair. Boats heading off on downwind ocean passages often tape pipe lagging to their spreaders to avoid chafe on the mainsail. 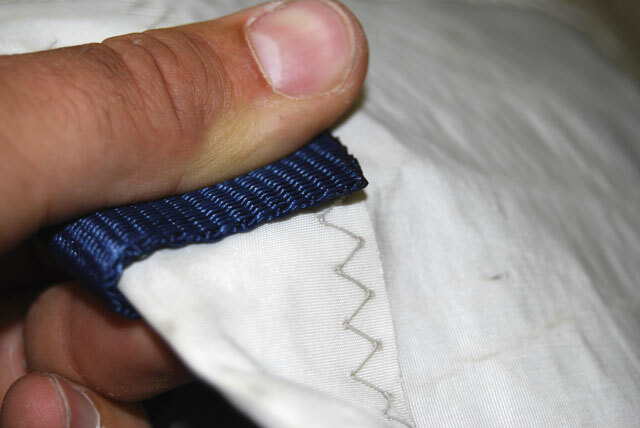 Regular checks for rotten stitching are a good way to ensure your sail’s seams will stay intact. If your UV strip is degrading, don’t worry – they can be discarded. Drop the sail off at the sailmaker for a new one to be fitted before it starts to fray or tear.